The Indianapolis 500 entry list is out as practice starts today for the race’s 100th running. The Indianapolis 500 entry list is out as practice starts today for the race’s 100th running. 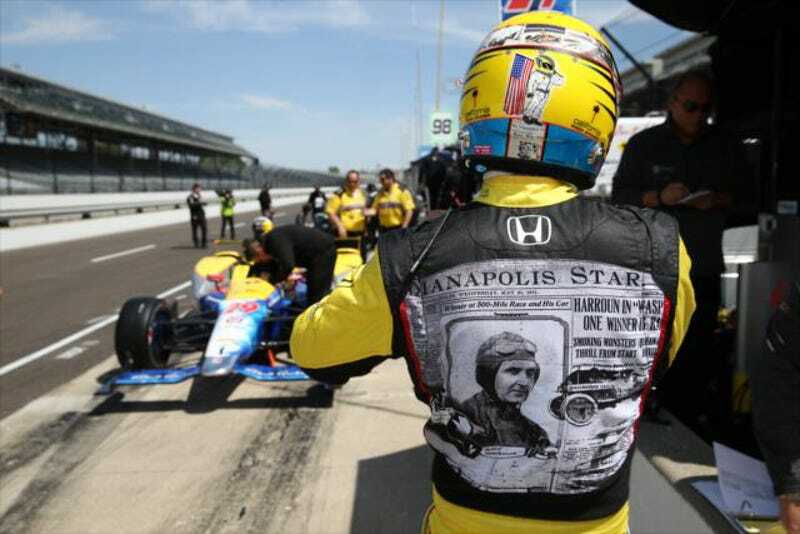 Driver Townsend Bell is practicing today, wearing a page of Indy history on his back. He’ll be joined by 32 other cars for the race, including six rookies and six previous Indy 500 winners. Justin Wilson’s brother Stefan is one of the six rookies on the list.